If you’re anything like I am, you have mixed feelings about New Year’s resolutions. It seems like a natural time to make important changes. It’s like a universal pressing of the “reset” button. Maybe that’s why so many Americans make New Year’s resolutions in the first place. But here’s the thing, how many people are successful in achieving them? I’m definitely not one of them! I suspect it has something to do with the nature of the resolutions themselves. My guess is the majority of people want to lose weight, fall in love, or win the lottery. Which is great! Let’s do it! Being happy and healthy is super important. But we shoot for the stars and we end up making it to the tree tops because we overwhelm ourselves with these HUGE goals. 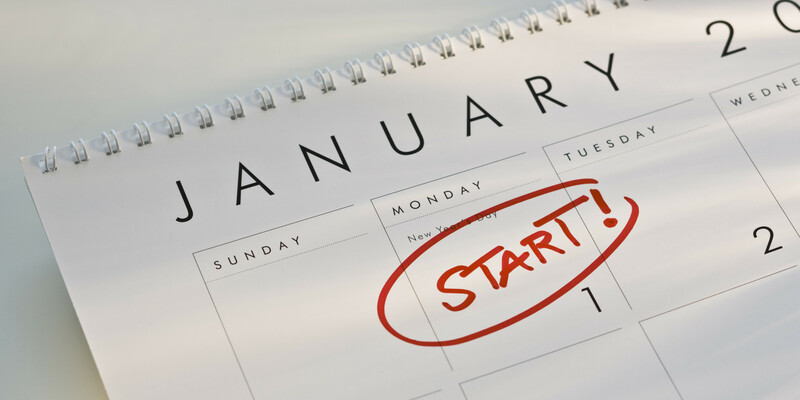 So, here are our tips on how to achieve your resolutions this year. A) Start small. If you want to lose weight, signing up to run a marathon isn’t the best place to start. Try taking those dreaded stairs once or twice per week instead of riding the elevator. Or maybe you can shovel the driveway instead of digging that snowblower out of the corner of your garage the next time we get a snow storm. Are you sitting on the couch watching an episode of the Bachelor? Instead of forwarding through the commercials, do sit ups or leg raises during them, it’s an easy way to time yourself. My point is, heading to the gym and thinking you have to spend hours there every day isn’t the only way to lose that weight, nor may it be the right way for you. There are tons of options to get yourself in the mindset of leading a healthy lifestyle, and it starts small. One pound at a time. Diving in head first doesn’t work for everyone and it could cause you to be overwhelmed and burnt out, therefore your interest is lost. Just remember to have fun with it! B) Be honest with yourself. If you’ve never held a tennis racket, planning to win Wimbledon later this year might be a stretch. The same goes for your goals, and it’s okay if you don’t know all the answers right away. Change doesn’t happen overnight, and going into a new resolution with hopes too high will almost certainly result in letdown. Want to fall in love? Start by putting yourself out there and setting up an online dating profile. Reaching that first goal will provide a sense of accomplishment and keep your motivation up. Keep in mind that everyone who has ever achieved anything first had to start at the beginning. C) Educate yourself. An old friend of mine had a sign hanging above her desk that read “Fail to prepare, prepare to fail.” Without the proper knowledge, you’re far more likely to fail in your new endeavors. (I personally need to educate myself on how to win the lottery. Step one: buy a ticket.) But really, you wouldn’t leave on a cross country road trip without a map, right? Well, you shouldn’t start a new goal without a good plan either. There are tons of free resources available today to help you find the answers to your questions. D) Have fun. If you don’t remember anything from this article, at least remember this. If you don’t have fun with what you’re doing you’re just going to be stressed out and miserable. Don’t be miserable. So there you have it! Shep’s tips on how to accomplish your New Year’s resolutions. Next Next post: Wanna Hang Out?